Billed as “America’s longest running nature show”, Verde Canyon Railroad (www.verdecanyonrr.com) offers a four-hour train excursion through Arizona’s scenic red rock country. Trains depart from the historic Clarkdale Depot, which is located about a half-hour southwest of Sedona; and passengers are treated to top-drawer service from enthusiastic cabin attendants along the way. 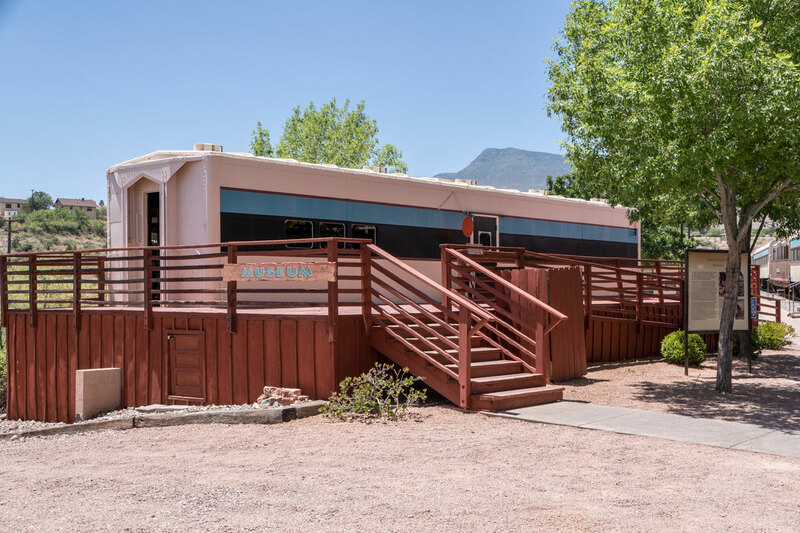 And the good news is, even though Verde Canyon Railroad’s vintage railcars reflect the charm of yesteryear, they also boast modern day access features, so wheelchair-users and slow walkers can also enjoy this fun excursion. Accessible parking is located near the station, with ramp access up to the departure area, which includes the ticket office and the adjacent a gift shop. The Copper Spike Café, which features a menu with hot and cold entrees as well as southwestern specialties, is located next door. Restaurant seating is available in front, and there’s also barrier-free access over to a covered picnic area next to the ticket office. Save some time to browse through the John Bell Museum, before you board the train. There’s ramp access up to museum, and plenty of room to maneuver a wheelchair around the adjacent storyboards, which together offer a good primer on local railroad history. Accessible restrooms are located near the ticket office, and the large restroom building near the museum also has an accessible family restroom. And if you’d like to pick up a quick snack before you get on the train, there’s also level access to the Whistlestop convenience store. When boarding time comes, the staff is happy to give slow walkers a golf cart ride to their cars, as sometimes the train can be quite long. Three of the rail cars — one coach and two first-class — have an on-board lift. This allows wheelchair-users access to the open-air car as well as the adjacent air-conditioned passenger car. The lift has a capacity of 500 pounds, and there’s also a wheelchair available for loan for slow walkers. Passengers are free to move to the open-air cars during the journey, and all of the accessible cars have good pathway access to and from them. Wheelchair-users can transfer to a seat in the passenger car, or opt to stay in their own wheelchair for the journey — the choice is theirs, and the crew is very accommodating. The accessible cars also each have an accessible restroom. The first class cars offer spacious living-room style seating, and they carry fewer passengers than the coach cars, which have traditional Pullman-style seats. A light lunch is served in first class, and a full bar is also available. 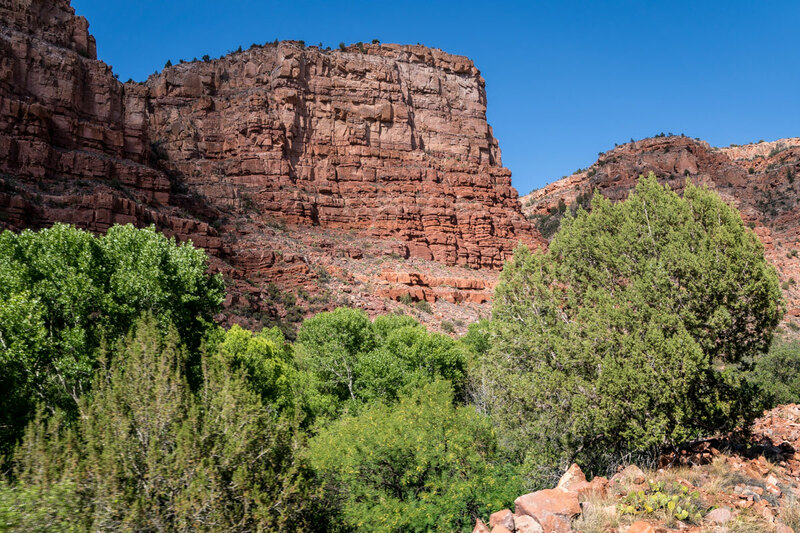 Snacks are available for purchase in coach, and everyone gets a great view of the changing landscape as the train chugs past Sinagua ruins, along the Verde River, through a 680-foot tunnel and over an iron bridge up to Perkinsville. There’s a short stop in Perkinsville — where passengers remain on the train — while the engine is repositioned for the downhill journey. And the great part about the journey is that there’s a completely different view on the way back. 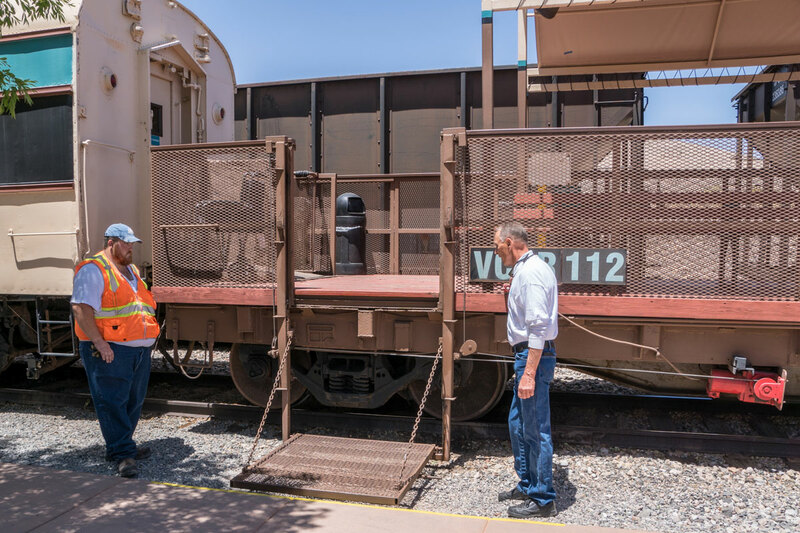 It’s a fun way to spend the afternoon, and the folks at Verde Canyon Railway do everything in their power to make your journey more enjoyable. That said, remember to let them know what kind of assistance you need when you make your reservation, as it makes the boarding process go more smoothly. All in all it’s a great ride, and a very accessible way to get a closer look at some of Northwestern Arizona’s scenic back country.